(1) Add Title related to targeted keywords, place only important keywords, do not exceed more than 25 characters. (2) Add Meta description related to Title tag. Repeat keywords used in title two times in meta description.Meta description should be unique for each pages with targeted keywords. Do not stuff keywords into meta description. Do note exceed 255 characters. Note: Meta description and web page content should be a good one, if not it be placed in supplement results in "Google"
(3) Add meta keywords related to targeted keywords,now only meta search engine focus in this meta keywords. (4) Add robots tag to tell search engine spider like Googlebot and MSNbot to index page and follow. (5) Add re-visit tag to tell search engine to visit our site in number of days like "7 days" etc. (6) Add Keywords towards H1 tag. (7) Add Bread crumbs to increase web site navigation structure. (8) Add static Header and footer navigation links, Links should be text not as images. (9) Config 404 for broken links in-order to avoid customers and clients moving away from our site.It can be done using IIS for asp server or .htaccess for PHP server. (10) Analyze your targeted keywords using overture keyword selector tool or google suggest. (11) Compare between two selected keywords using google fight tool. (12) Focus strong keywords and weak keywords for the website, weak keywords will be supportive for strong keywords and for clients initial business. (13) Add optimized content towards home page and inner page, give more importance to home or index page to make search engine index fast and efficient. (14) Do one way and two way link exchange with worthy and quality sites to make your website more popular, its like tuning the site for web site popularity. (15) Add links to directories more relevant to your web site, it will bring business through referrals and popularity. (16) Add sitemap to web site. (17) Create google site map to your web site and upload to your server and submit to google web master to tell search engine about the web pages in your site. This can be mostly useful for shopping or online product sale site. (18) Add your web site to Dmoz and yahoo Dir, this will bring more hits to your web site. dmoz database shared by many search engines and directories including Great Google. 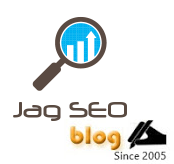 (19) Create feed xml, html xml and ror xml for xml search engines and directories. (20) Monitor your hits and traffic by using free google analytics.